Recently discovered Kepler-107b and Kepler-107c might offer a unique insight into how worlds are formed, as these two exoplanets, while having almost identical radii of 1.5 and 1.6 Earth radii, have densities that are over twice as different. 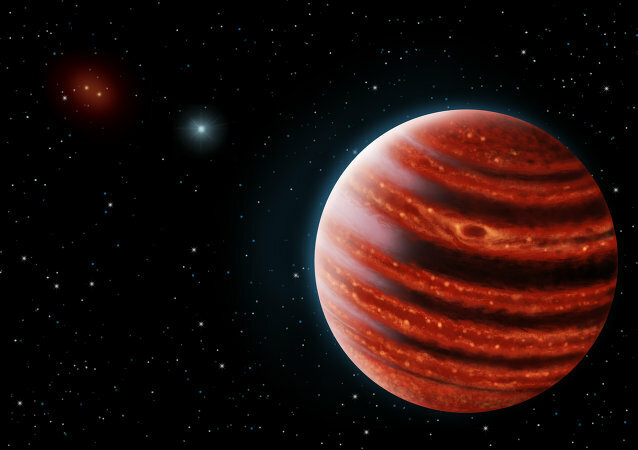 A mysterious planet rich in precious stones has reportedly been spotted orbiting a star just 21 light years away, in the constellation Cassiopeia. The findings could be good news for astronomers who still know very little about the planetary companion of Proxima Centauri, a small red-dwarf star located 4.2 light-years from the sun. 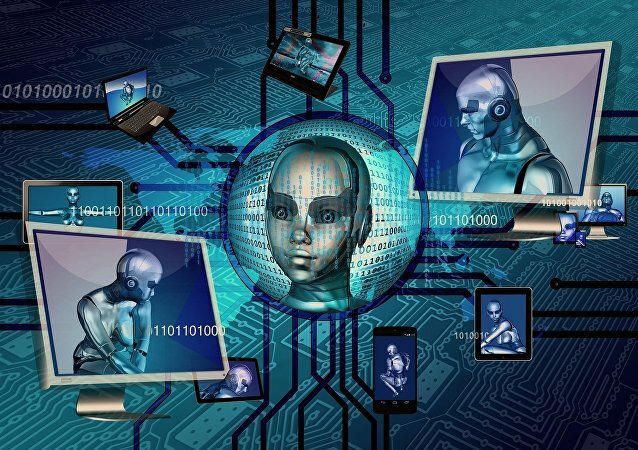 A team of researchers at the Center for Robotics and Neural Systems at Plymouth University in England has developed an artificially intelligent neural network trained to classify planets into five different categories based on their potential for habitability. The tool could be used in the future for interstellar space exploration. Impressive light fluctuations have once again thrust a distant star into the public spotlight. The fluctuations may be the result of exoplanets orbiting the star and may therefore become a focal point of scientific attention one day. The Kepler telescope, which has already helped discover some 2,300 exoplanets during its K2 planet-hunting mission, has been instrumental in identifying arguably the fastest-orbiting planet ever discovered. Earth may have just found a potentially habitable space counterpart and it is merely 11 light-years away. 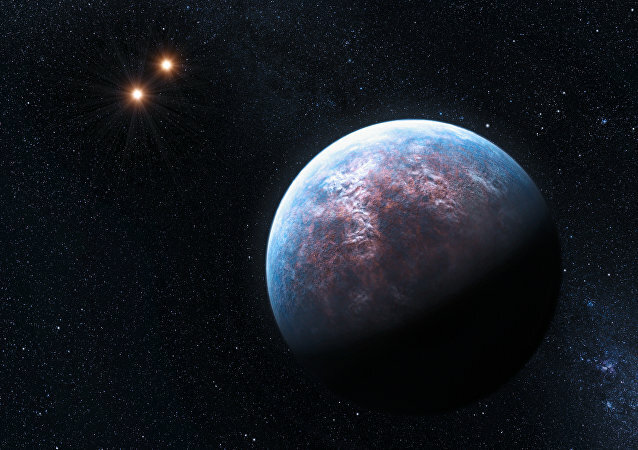 Using data provided by NASA’s K2 mission, an international team of astronomers has detected a system of three “Super Earth” planets orbiting a brown dwarf star roughly 97 light years away. 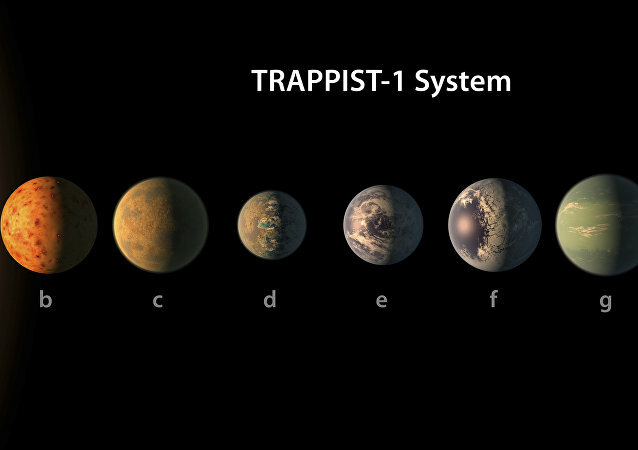 Observed water loss from the newly-discovered TRAPPIST-1 exoplanets is helping scientists to focus their search for habitable conditions in space, Dr. Vincent Bourrier of the University Geneva told Radio Sputnik. 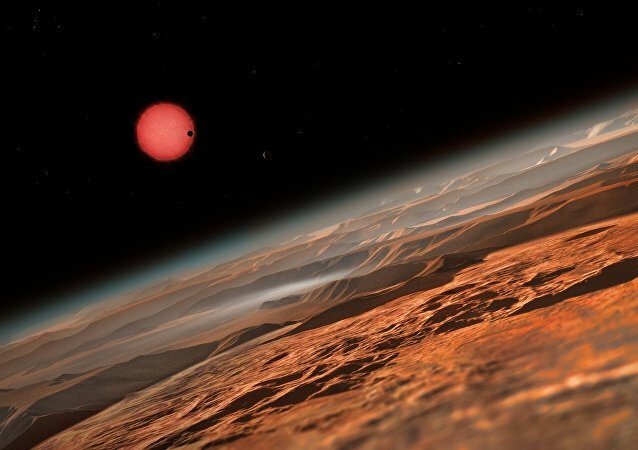 An international team of astronomers discovered an exoplanet the size of Jupiter using the Russian-Turkish telescope RTT150, built in the Turkish observatory Tubitak, an article published in the electronic library arXiv.org said. After a decade of searching, an international team of astronomers has discovered an alien world orbiting an enormous red giant star. The planet is comparable in mass to Jupiter and orbits a metal-rich star five times larger than our sun. The Hubble Space Telescope has detected a bizarre exoplanet with a watery atmosphere that also emits an incandescent glow from its stratosphere. This is strong evidence of the first ever stratosphere to be discovered around an exoplanet. That’s no moon ... wait, yes, it is. We think? A new Earth-sized exoplanet has been discovered with a peculiar and ultra-short orbit around its host star, completing a revolution every four hours and 20 minutes. There’s a joke in there somewhere, but we don’t know what it’d be. A new study suggests that a recently discovered and eye-catchingly weird exoplanet is no planet at all, but is rather a small and dim star. An international team of astronomers has found and observed a celestial body that might have favorable conditions for life. Professor Stephen Hawking has called on mankind to redouble its efforts to colonize other worlds, believing the Earth will become uninhabitable within the next 100 years. It is neither the first time Hawking has made such a prediction, nor the impending destruction of the world has been foretold. An independent team searching for habitable and inhabited planets outside of our solar system has launched a Kickstarter to help fund the advanced telescope they’re midway through building – one with some pretty sweet rewards. 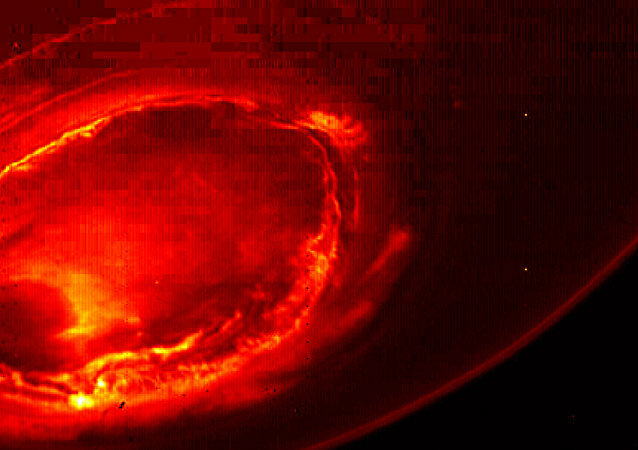 Could Humans Live on the Closest Planet Outside Our Solar System? A new study of Proxima b, the closest planet outside our solar system ever discovered, suggests that the planet may actually be able to support life of its own. A pioneering new study has uncovered large amounts of water in the "primitive atmosphere" of an exoplanet, which is a similar size to Neptune. The discovery could help uncover how such planets formed, to provide insight into how other planets in galaxies across the universe.